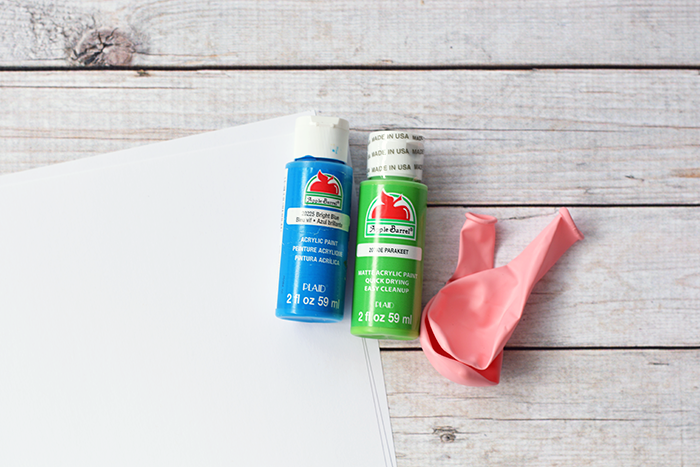 Over Easter we had fun painting with balloons for the first time thanks to I Heart Crafty Things, Balloon Printed Chicks. 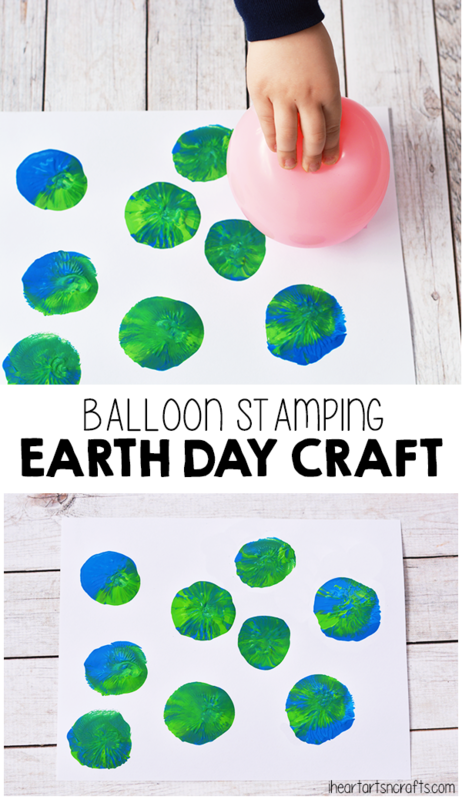 I love finding an activity that my two year old and four year old can do together, so we gave the balloon printing a little Earth Day twist and created our own Earth Day Prints. To begin you’ll want to blow up your ballon and tie it. 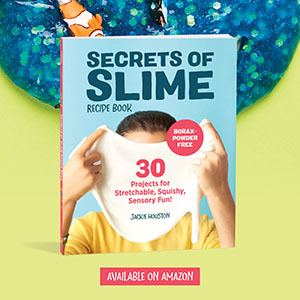 I didn’t blow ours up the whole way because I wanted it to be a good size for my son to grasp onto, so I blew it up small. 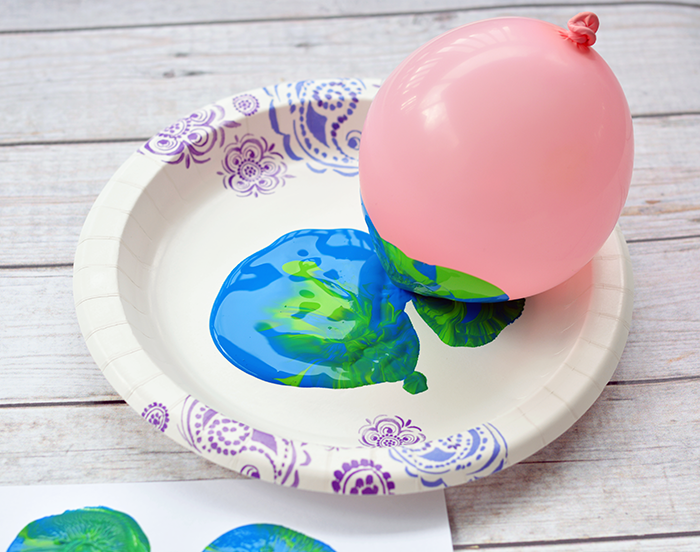 Then squirt some of your green paint and your blue paint onto a paper plate, this way it’s easy clean up. Then as they take the balloon and stamp it onto the card stock paper the colors start to swirl together. My preschooler did one piece with separate stamps like the picture below, and then on another piece with a ton of stamps creating “One Gigantic Earth” as he called it. 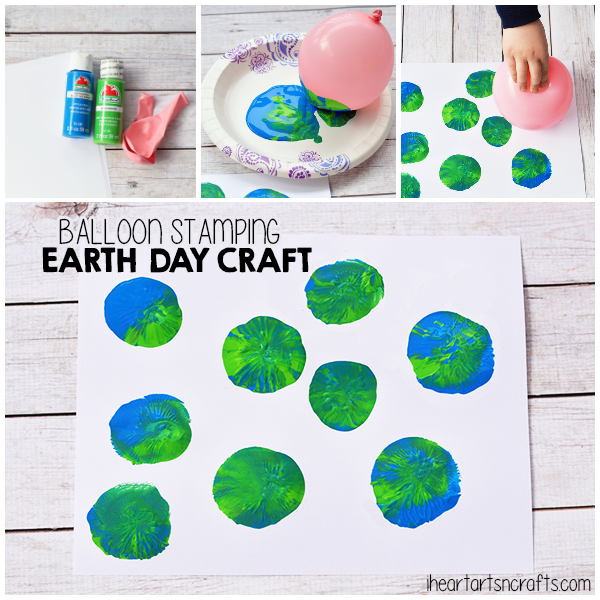 Another fun way to do this craft is to add different colors and create the whole solar system using balloon stamping!